Apart from the occasional brief hour of silence, I can’t remember the last time I didn’t have to listen to the roar of the wind. Here at Base Camp it manifests itself in the form tent canvas bashing against our ears for all hours of the day, impossible to dismiss even with ear plugs. At Advanced Base Camp (ABC) and during the trek up there, it involved sudden gusts slicing through our windproof clothing and chilling us with icy blasts. At ABC this flapping of tent fabric was constant, and time spent outside was unpleasant. During our climb up to the North Col the wind was more sinister, leading to cold fingers and spindrift thrashing our faces. Higher up still the winds merge into the killer jetstream, approaching 100 mph on the summit, making climbing impossible. 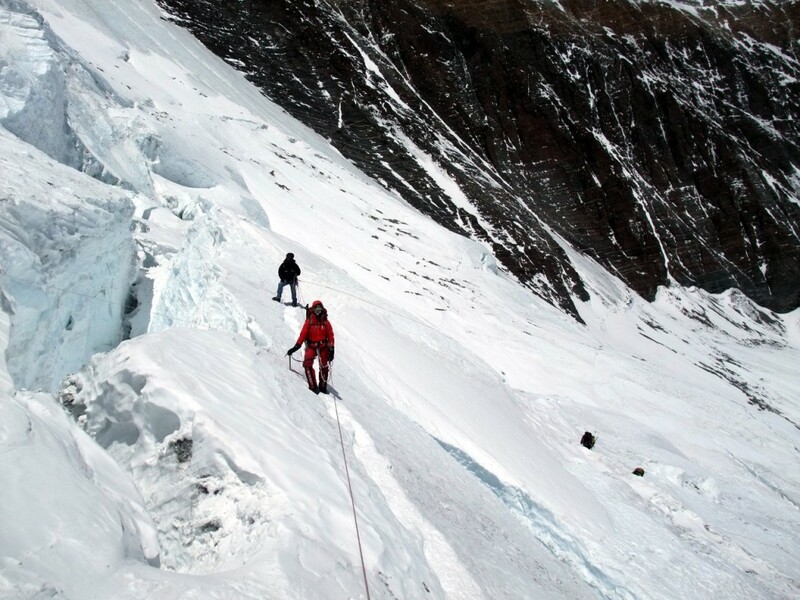 These winds are very familiar to everyone who has ever climbed Everest. Sir Edmund Hillary even began his autobiography with the line, “Tenzing called it the roar of a thousand tigers.” At some point we need them to disappear, or we’ll never get up the mountain. But everyone is confident they will – they do every year as the monsoon arrives and pushes the jetstream away. 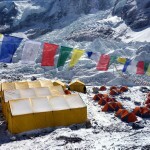 On Friday we returned to Base Camp after a week’s rotation higher up the mountain getting acclimatised, exercised, and building up the red blood cells. This involved a 2 day trek from Base Camp at 5160m to ABC at 6410m, up the medial moraine of the East Rongbuk Glacier. Although yaks had carried most of our kit the day before, we still needed sleeping bags and mats for a night at Interim Camp (5780m), also known as Yakshit Camp due to its resemblance to a farmer’s paddock more than a glacier camp. This was a big jump in altitude, and they were a tough two days of trekking. Most of us needed 3 days of rest at ABC after that before going any higher. Our Sherpa team was taking loads up to the North Col after only two days, but I was content to wander up to Crampon Point, where the ice begins 150m above camp. From there I could see the North Col Wall rising steeply in front of me, and counted around 50 tiny figures crawling up it. It looks sheer from below, but I climbed it five years ago, and knew that it’s not as steep as it looks. 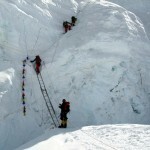 The following day, Thursday 26th, we went for our first climb up there. The tentative plan was to climb up to the North Col at 7050m, but it was cold and windy again that day, and more important was simply to climb as high as possible without coming back with any injuries. 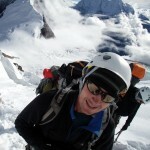 Our most sensible team member was Mark Dickson, who climbed up to the North Col with myself and Ian in 2007. He has suffered from cold fingers in the past, and decided to turn back at the foot of the North Col Wall after crossing the windy ice plateau. The rest of us decided to start climbing the wall. I discovered it to be much more ‘direct’ (ie. steeper) than five years ago. The start of the climb was steep blue ice, and I had noted a vertical section at the top of the climb onto the col. This was similar to 2007, but this time there are more steep sections in between. I did most of the climb with Mila and Dorje. About halfway up Mila said to me, “Can you smell burning?”. We turned and saw Dorje had lit a fag (US translation = cigarette) and was puffing away. Dorje is best known for being the man who lugged David Breashears’ huge camera to the summit in 1996 for the Everest IMAX movie. 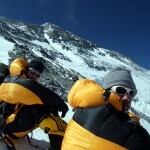 Less well known is that he smoked a fag on the South Summit last year, at 8750m possibly the world’s highest drag. I eventually turned round on a steep and exposed section at 6900m. Mila and Dorje had already descended due to the cold wind, and when I saw Margaret and Chedar also turn below me, I realised there was no longer anyone in our team behind me. Ian and Grant were both above and eventually reached the col, but I’m not a keen solo climber and there wasn’t much to be gained by slogging up after them. Ian caught me up at the foot of the wall. I’d needed three abseils to get down the blue ice section, but I saw him casually skipping down it using a Sherpa-style arm wrap without a care in the world. He’s definitely our star performer (Sherpas and expedition leader Phil aside). He drinks more than anyone else in the team as well. The wind was really howling as we crossed the ice plateau again, and we could have been in Antarctica. Life at 6400m is incredibly harsh. Every day I woke up with headaches, food needed to be forced down, and every little task took twice as long. The brain doesn’t feel like it’s functioning at 100% either. By contrast here at Base Camp (5160m) life is comfortable. The Altitude Junkies team base camp set up is grand, and I could happily stay here for many days. We’ll be going back up again in a few days for our second rotation, but hopefully by then I’ll be well rested and have my appetite back again. Your brain isn’t funtioning at 100%? To be fair, I never thought you were functioning with a full deck at seas level! Good luck mate. 6400m is nearly as high as Mera Peak and that was bloody freezing so i can’t imagine what i would be like higher up. 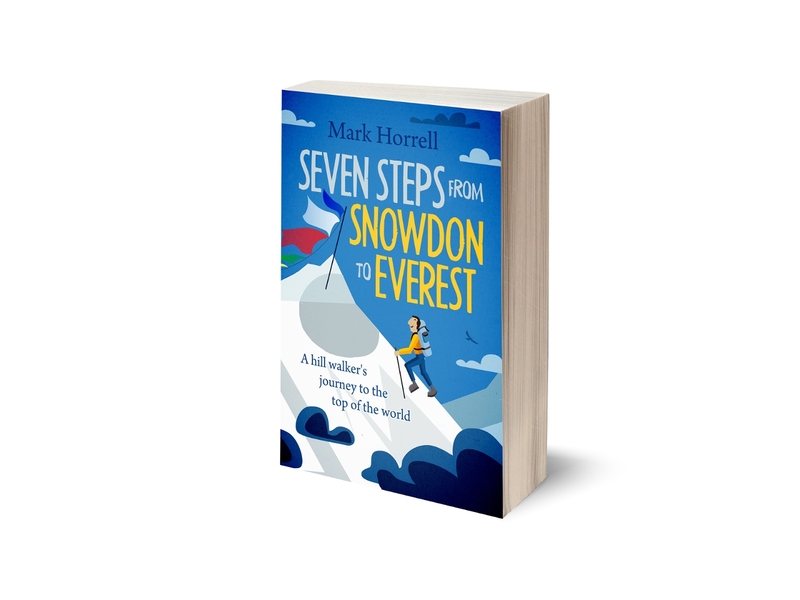 Sounds like you got some good acclimatisation in so should make it easier going up again. EBC (Tibet)is a pretty amazing spot, you can see the whole mountain and not get annoyed by too many people,though i was there in the month of September. First day was full on cloud and then the next two days was completely clear. Thanks, Andrew. Yes, it’s quiet on the north side this year. Loving all the blogs and photographs. Wake each morning wondering what’s been going on whilst I sleep and it’s sounds as though your sleep pattern is severely disturbed. I hope your next blog will tell us that the situation on the mountain has become a little easier. Everything going smoothly here on the north side. No rock falls, no dramas, no teams pulling out!